Though you may haven’t heard from me in a little while it’s because I’ve been very busy, just the same. German melodic rockers MAD MAX have been confirmed for this year’s edition of the Wacken Open Air festival, set to take place August 5-7, 2010 in Wacken, Germany. I’ll also be playing the Firefest in Brittain in Octobre aswell as the Z-rock fest. 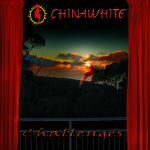 Last December my very first band Chinawhite released their 3rd studio album called “Challenges” which I recorded over the course of the last 2 years. It is published and distributed through our own label called Rock Company. With Cooper Inc. we released last octobre our 2nd studio album called “Pulling the Trigger” brought to the public by CTM and Point Music. Two weeks ago I recorded the drumtracks for ex- Accept singer David Reece’s Bangalore Choir new album, which is yet to be titled and finished. However, it is expected to be released soon through Georg Siegl’s Metal Heaven. Melodicrock.com is spreading news about this one, too. A week ago my website www.hansintzandt.nl was entirely facelifted. Please check in and have a look around! Soon my own recording studio in my house will be up and running with a big live room flooded in daylight of 7x7x3 mtr. and a protools rig. On my website and my myspace site: www.myspace.com/hansintzandt you’ll find an overview of my working dates. Hope to meet and reacqaint at the Frankfurt Messe. 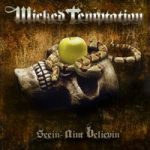 Rhine Rock Records presented the fantastic hard rock debut of the German band Wicked Temptation. Ex-Vengeance drummer Hans in’t Zandt is back on the scene! The drummer who has also played in bands as Terra Nova and Angel Dust is working his drumkit now for Wicked Temptation! Wicked Temptation is featuring Peter Wagner (ex-Powergod) on guitar, Marc Hermann (ex-Jo Hartmann Band) on bass and Dirk Hackenberg (ex-Salvage, Essex) on vocals. 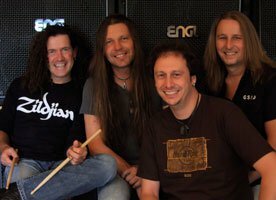 In the Rhein-Ruhr-area Dirk Hackenberg is also known from the cover band Powerstation with ex-Running Wild-guitarist Bernd Aufermann on guitars. The music of Wicked Temptation can be described as hard n’ heavy rock of the 80ies and 90ies, in tradition of icons as Ozzy Osbourne or Dokken. The debut album called Seein’ Ain’t Believin’ which will be released at Rhine Rock Records/Sony Music on March 14. More info: www.wicked-temptation.de / www.rockpapas.de. You can order this Release and other at info@rockpapas.de. I’d like to inform you that I’ll be giging with my band Cooper Inc. tomorrow and Friday. Tomorrow night we have the honour to support the amazing vocalist from Norway Jorn Lande and his band at The Rock Temple in Kerkrade in the south of the Netherlands. Moreover, Friday night at the famous Spirit of 66 in Verviers, Belgium Cooper Inc. will support ex-Accept and Bangalore Choire singer David Reece. Please feel free to visit Cooper Inc.’s website for info on e.g. -reviews from all over the globe on Cooper Inc.’s recent release Pulling the Trigger. To listen to it visit Chinawhite. To pick it up (CD or Download) visit Rock Company. With my band Cooper Inc. we have a new cd out now: Pulling the Trigger. Reviews are rolling in daily and we recieve a lot of praise. It´s not inconceivable it won´t be long before we can say “critically acclaimed” :-). Needless to say we´re very happy see the path we chose: to “Inc.” top producer Michael Voss pays off and is a real asset. The record is self financed, however distributed by Point Music and CD BABY, globally. Please feel free to go to: www.cooperinc-music.com and then news to read the reviews yourselves or watch live footages of Cooper Inc. on stage supporting Rock Legendaries Toto during the past three summers, then dial in to media. 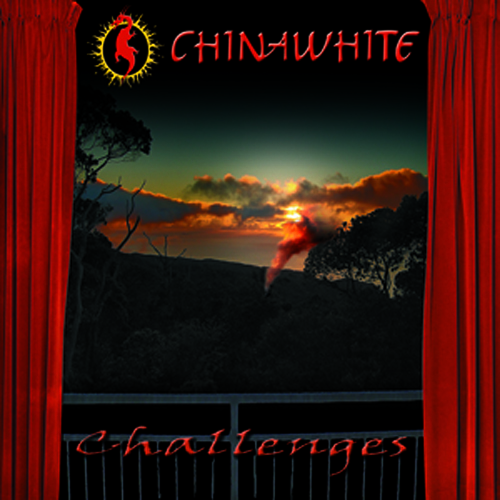 Also the upcoming release of Chinawhite – Challenges is featured. Listen to it on Myspace. On the Rockeyez website you can read a report of my trip with Mad Max to Rocklahoma!